The royals are coming to Mount Vernon again this week. 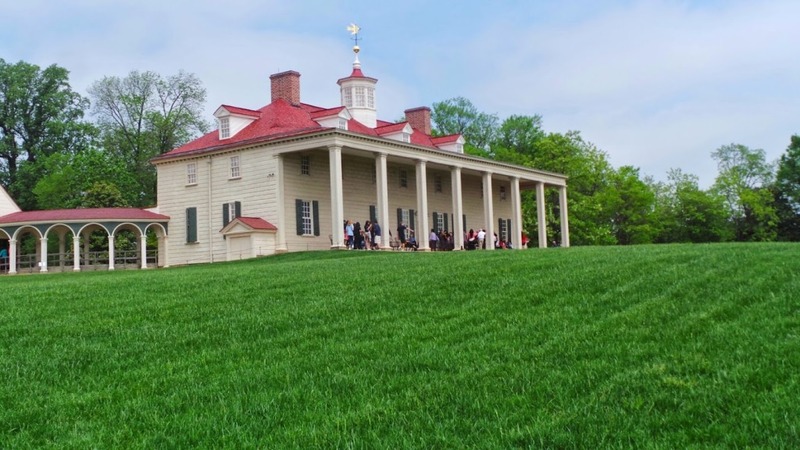 Prince Charles and the Duchess of Cornwall have added George Washington’s home to their itinerary. It’s my favorite site near Washington, DC. I thought it an appropriate time to share some of the Washington’s culinary preferences and challenges. Always an interesting historic home to visit, it is now a world class destination with an interactive educational center and Museum. The mansion is restored to its appearance at the time of his death in 1799. The house is a microcosm of early American history. The portrait of Louis the XVI in the dining room reminds you of the pivotal role he played in financing the American revolution. But upon entering the house the pride of place is given to the Key to the Bastille, symbol of the revolution that eventually guillotined Louis XVI. The key was given to President Washington by Marquis Lafayette as a symbol of liberty and democracy. Times were changing rather quickly during those turbulent years too. 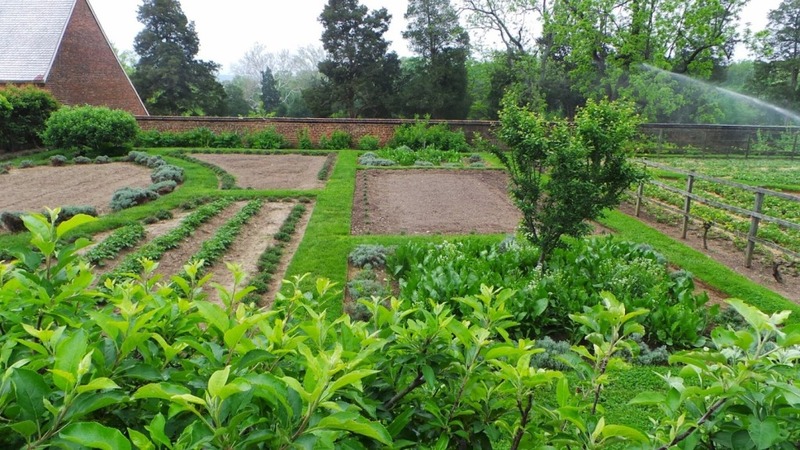 The experience of enslaved people at Mount Vernon is well documented as is George Washington’s decision to free them in his will after Martha’s death. It highlights that the lifestyle enjoyed by the Washington’s was supported by a large slave population. The symbolism of the dining room at Mount Vernon illustrates this and more. How did the 1% dine in 1799 or more correctly, the ½%? 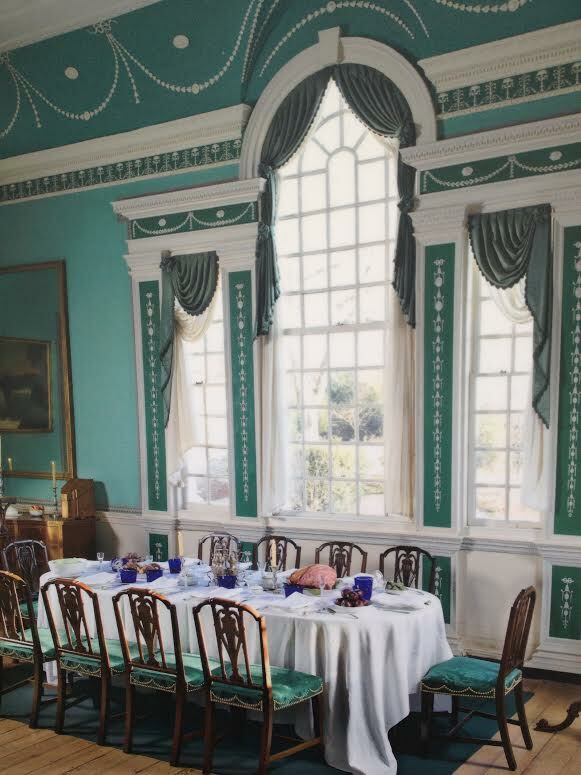 Set for a meal, with seating for 10 to include the ever present house guests that the Washington’s always welcomed, the dining room allows you to see day to day life in the world of the very elite in 1799. It was a time in which good fortune included obligations and one of those was to welcome any guest who arrived (of “acceptable” status and with an appropriate letter of introduction), for as long as they chose to stay. The personal cost of fame could be very high. Food was plentiful and sourced locally when possible. But expensive imports were critical as well as status symbols. These included oranges from Seville and sugar from the Caribbean. Of interesting note here again is the impact of the American Revolution on the day to day life of the estate. Salt, a very critical component for curing meats and fish to last the winter, had come mainly from England, but during the war a quick substitute from Portugal had to be arranged. Similarly, then General Washington’s favorite ales were British, but no longer allowed. 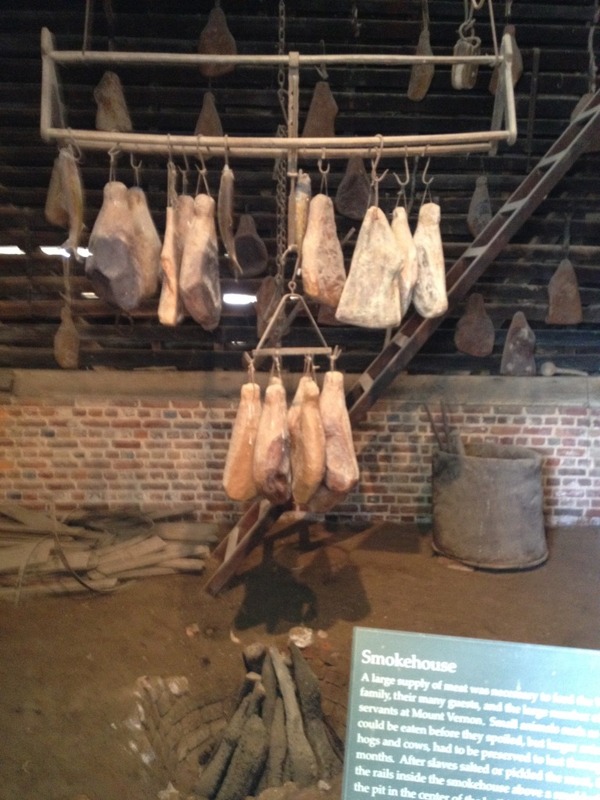 Martha Washington was famous for her Smoked Virginia Hams. 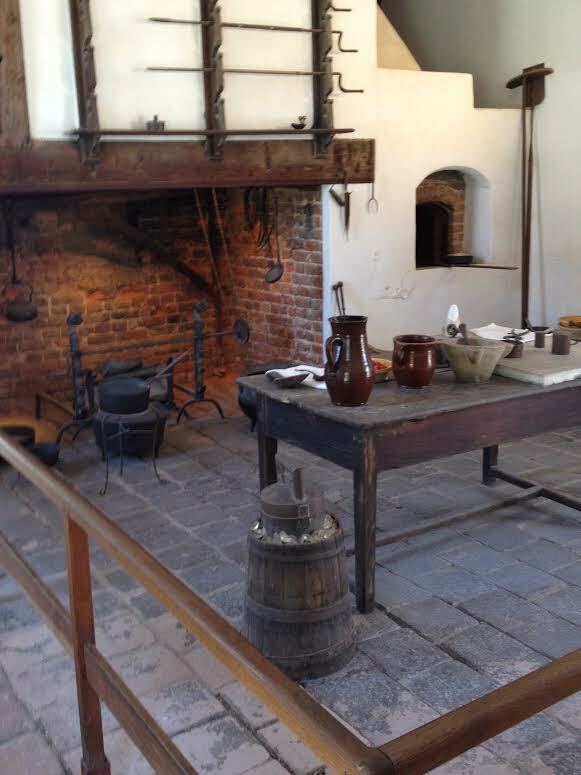 The Mount Vernon Smokehouse. Meals were bountiful and lasted two to three hours. Certainly much of the business of the new nation occurred during these meals. They included ham, game, vegetables, and fish, including sturgeon-which in 1799 was so plentiful it was said you could walk across the Potomac River on their backs. Ice cream was a favorite as long as ice saved from the winter was available. Imported wines, ales and port completed the gourmet meal. This was no meager fare nor was it expected President Washington and his guests would not enjoy the finest available. The best museums transport the visitor and allow them to learn and make their own judgments of a time, culture or event. House museums have the advantage of not just transporting, but placing you in the actual site, surrounded by the decorative arts of daily life. Mount Vernon is particularly successful at this. 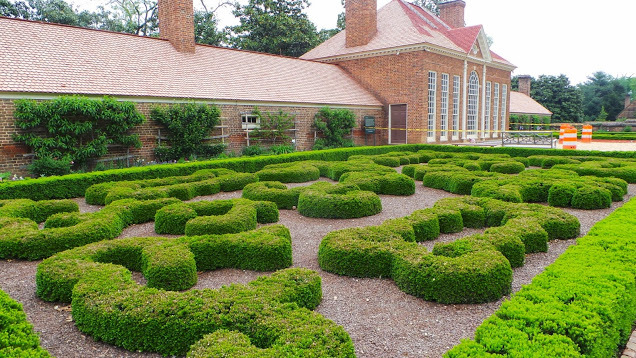 Mount Vernon’s Greenhouse, surrounded by the formal fleur de lis gardens. A nod of thanks to France for their help in the American Revolutionary war. 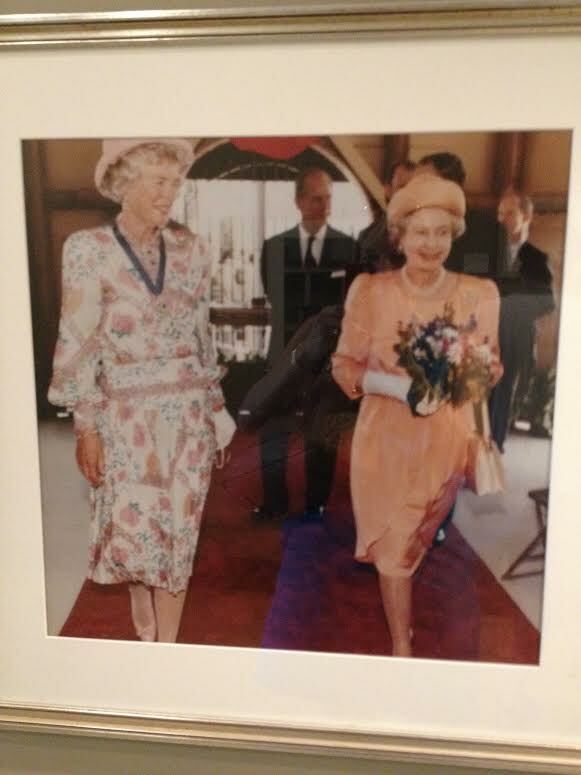 HM Queen Elizabeth and HRH Prince Philip at Mount Vernon in May 1991.